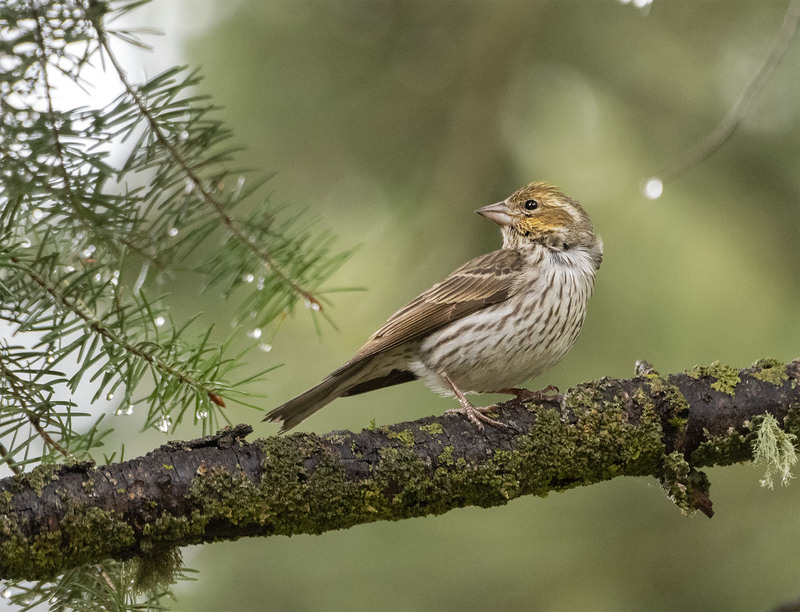 A female Cassin’s Finch finds ample shelter under a large spruce on a recent rain-soaked afternoon. A quick look up and …hey the sky looks lighter to the west. She was indeed a very sweet finch. Hope you have had a fine day. Sweet captures, Mike – lovely to see these detailed closeups. Thanks Eliza, Was great to see and hear her on a very rainy afternoon. A bit of sunshine to brighten the day. Thanks for passing along the post. We do appreciate getting it spread around. Hop your doing well and having a wonderful day. 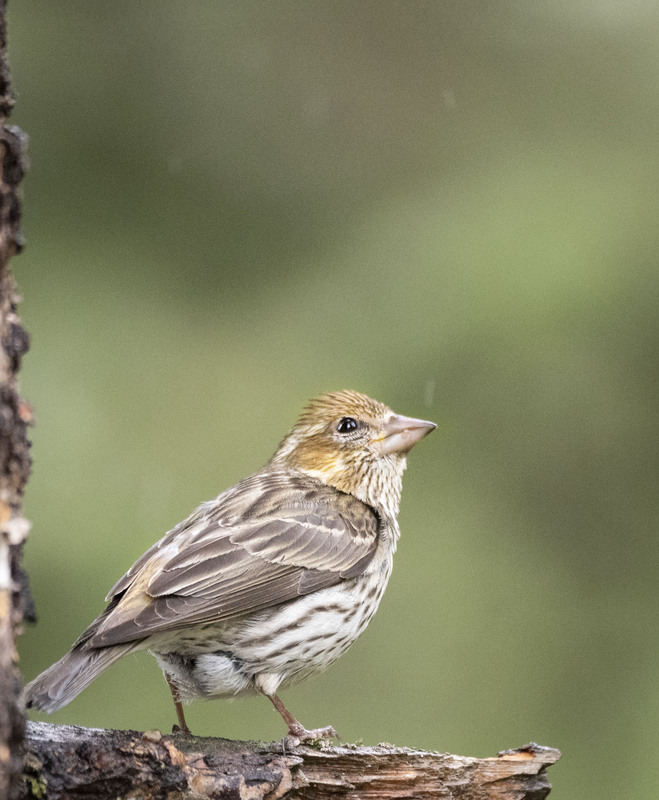 Thanks Paula, she is indeed a sweet looking finch.